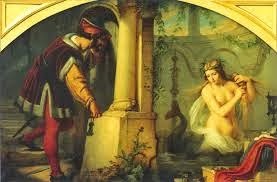 It is probably in the Song of Solomon that was born a woman running through the centuries. The ” I am dark, but fair of form ” begins a story uninterrupted. “My mother’s children were angry with me; they made me the keeper of the vine-gardens; but my vine-garden, my, I have not kept. And she was the mother of many other women. The Melusine, for example, a hybrid between a fairy and a water snake, happiness or destruction in a moment, when we try to understand their nature. Madame Bovary, certainly (maybe). The woman who breaks the chain in the desire of which speaks Deleuze, because there is a multiplicity, a collective event. It is not, as he says D. desiring a set or a set of things to be concatenated. And ‘ the walk with a laugh, a sadness, a smile, a gesture on the margin between what we understand and what you want. Not both, one or the other. And if you jump off the edge you lose everything.Lady Brett Ashley Fiesta of Hemingway. The Linda ‘s Companion Pavese. 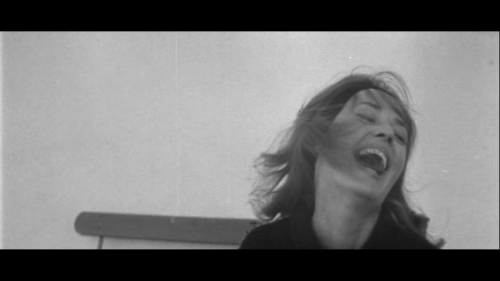 And in a perfect way, and finally visually better, the Catherine of Truffaut’s Jules and Jim (1962). And still the image of the face of Catherine that suspending the useless chatter of Jules and Jim . And today ? We come up Helen of “Professor of desire”, the famous book written byPhilip Roth , as far back as ’77 . The story has changed continuously narrator. From the two lovers canticle to the story of the masculine woman (but at least Flaubert could credibly say to be M. Bovary) the description of the effect on the men by a woman who gradually disappears. Linda does not know much, only that Pablo, the main character, starts from Turin and goes to Rome because disappointed in his dreams of descent from the edge toward a normal life. But his own dreams, to be honest, were a sham. In Professor, finally, the story of a masculine man who in some ways trying to live on the edge takes Helen and subsequent wife, a decent woman, like the two sides of the ridge impossibility. Certainly we have lots of literature, maybe wrong, but it seems a descent interrupted. Why? Is that we have known women like that. There are. And maybe we are. Why the Market hides us?